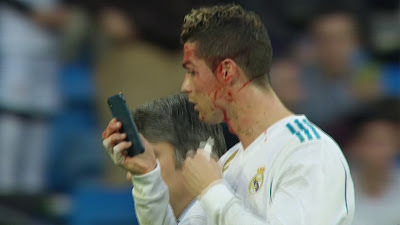 The Portugal international left the field with blood streaming down his face after being caught by defender Fabian Schar as he dived to head home Real's sixth goal at the Bernabeu Stadium. Speaking at his post-match press conference, Zidane said: "He has got a wound and I think he's been given two or three stitches. He's all right." Great News And We Wish Him Speedy Recovery.